Dr. Normand P. Larocque, 89, of Mashpee died November 12 at home. Scot P. Birdwhistell, 65, of Mashpee, formerly of Falmouth, died unexpectedly on October 27. P. Nicolas Wherity of Brewster, who leaves family in Pocasset, died November 9 at Wingate at Harwich. He was 80. BABBITT: of Westport, Monday, Nov. 12, 2018, Charlotte G., 89. Wife of the late John I. Babbitt. Arrangements are in the care of Waring-Sullivan Home at Dartmouth. 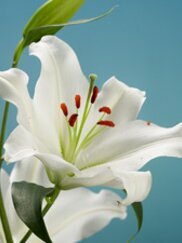 For obituary information and on-line tributes please visit our website at: www.waring-sullivan.com. Summerfield, FL – Delight G. Wilson, 80 years young, passed away in Florida on November 8, 2018. She was born in Lawrence, Mass. to P. Roy & Hazel Wilson, but raised in Andover, where her father owned The Paper Store.